Rinse and dry your greens and snap peas and place in a large salad bow. 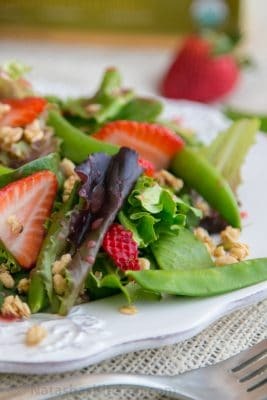 Rinse and slice your strawberries and toss them into your salad. Drizzle with pomegranate salad dressing.